As of July 2015, Red Eléctrica de España has a new informative channel where one can find the latest news about the Company, in addition to opinion galleries, observatories, videos and other content. This blog, written by the Press Office, provides a warmer approach and more user-friendly view of the electricity sector in general and specifically of the Company. 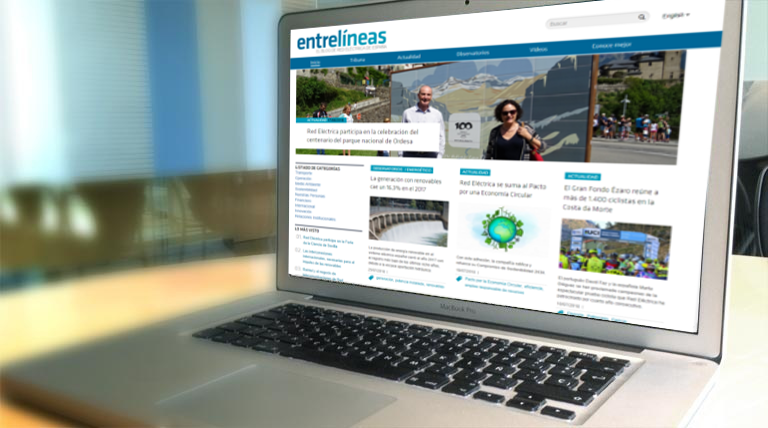 This blog renews the essence of the ‘Entrelíneas' magazine, which was published in paper format for eight years, informing the general public in an up-to-date and interactive way about the activities of Red Eléctrica.